Sights and Scenes from the One Nation Rally in D.C.
VIDEO: the National Mall, on Oct. 2, 2010, in Washington, D.C., at the Lincoln Memorial, a massive rally/march was held. 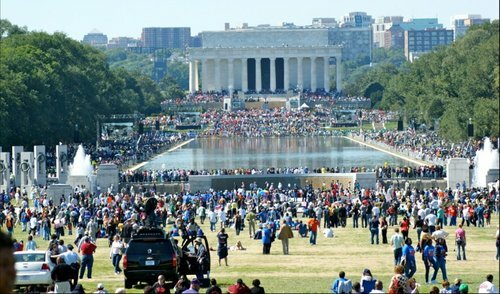 Its organizers advocated for jobs, peace, quality education, a single payer healthcare system and for other important social justice issues. ANSWER’s National Coordinator Brian Becker demanded an end to wars that cost a billion dollars every two days, instead demanding that the money be spent here. It is rare for me to even acknowledge Congress as anything but elected lobbyists and globalists, but I have to mention one. Stars and Stripes 4 sale was my site for the Clinton-Bush gang and I spent years following and cataloguing the Congressional shills. 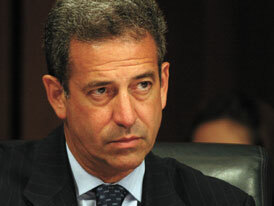 One of the few I had little ammunition against was Russ Feingold (WI).